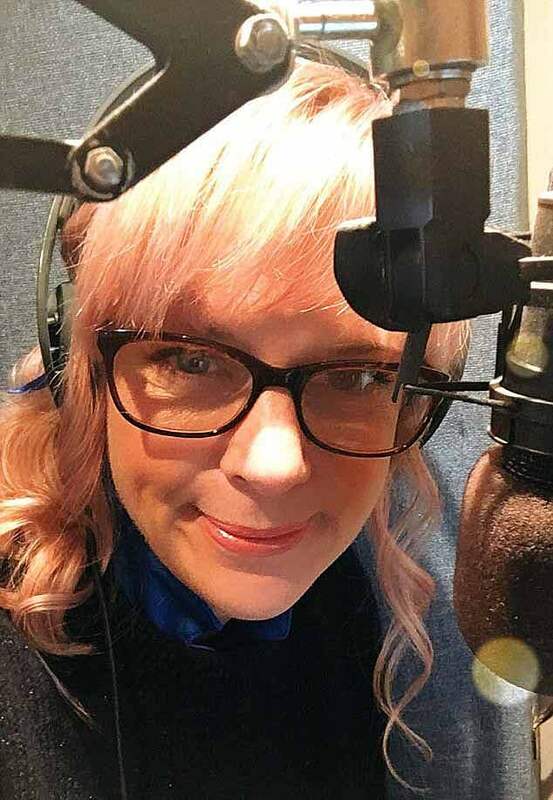 Vicki Archer, 41, was found dead at home by her step-father just hours after leaving a radio station part through her afternoon slot – telling colleagues she was ‘upset’. 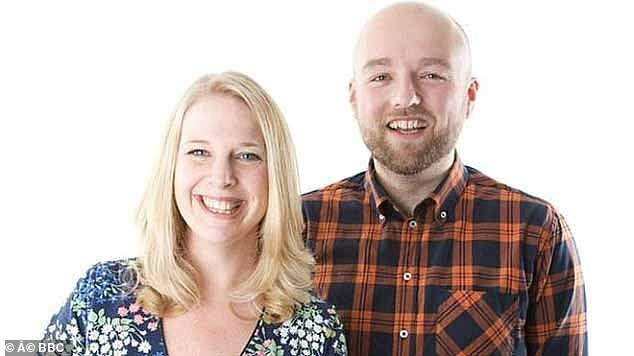 The mother-of-three had been co-hosting the 3-7pm BBC Radio Shropshire show with Adam Green when she abruptly went off the air shortly before 5pm. An inquest heard how she told BBC colleagues she needed ‘a break’ before she returned to her home in Shrewsbury, Shropshire. Her step-father Lee Holyoake, 64, discovered Vicki’s lifeless body at around 8.15pm after he went round to fix her cooker along with her 73-year-old mum Beryl. He climbed in through an open window after getting no answer when he tried knocking the door, and performed CPR until paramedics arrived. Nothing could be done to save the popular broadcaster and she was pronounced dead at 8.21pm. Shropshire Coroners Court heard Ms Archer had made two previous attempts to take her life and had suffered from depression. She also shared links to the Samaritans’ hotline number and wrote about ‘hurtful gossip’ saying: ‘Gossip is rarely kind, positive or encouraging. It’s corrosive, hurtful and normally has nothing to do with you. Today, Shropshire Coroner John Ellery concluded Ms Archer had died as a result of suicide. He said: ‘Victoria had made two previous attempts to take her own life in the past and suffered from depression. 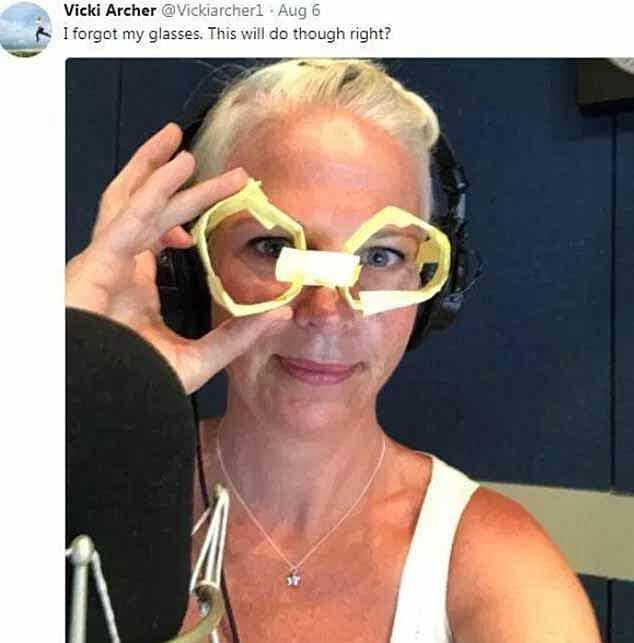 ‘Victoria left her radio show in mid-air and she said she was going for a break. ‘My conclusion is Victoria did do the act that led to her death. ‘She intended to kill herself, and that leads me to the inevitable conclusion of suicide. He said: ‘At approximately 1pm on August 6, [Vicki’s mother] Beryl and I called at her house to give her a necklace. I was gong to fix the cooker. ‘Beryl said she was eating well and she appeared her usual chatty self. 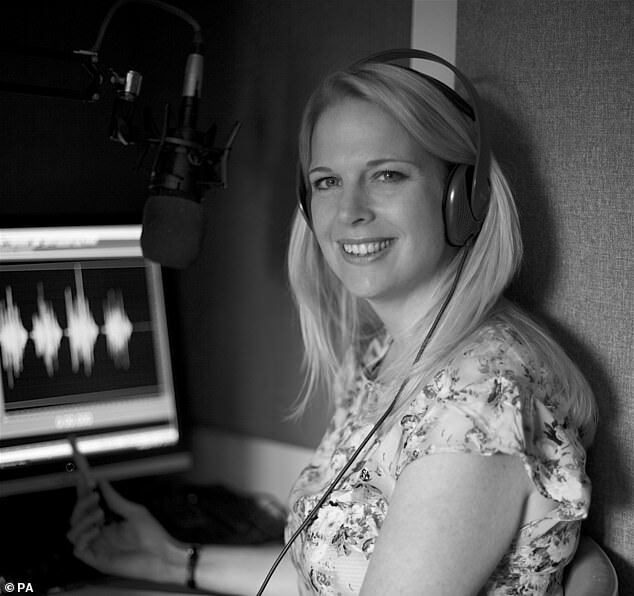 She is a radio presenter and she is at work from 1.30pm to 7pm. ‘I made arrangements to fix her cooker while she was at work. ‘We left and at 5.15pm and I went back to her house. When I was approaching the house, I saw a female approach her driveway. She had white hair and a long dress, similar to Victoria. ‘As I was driving past the house I saw the back of the person going towards the door. ‘When I was approaching the house I was expecting to see the person at the door. I found the key was missing from the key safe by the door. I knocked the door and there was no reply. ‘I started to get annoyed because the person who went into the house did not come. I phoned my wife to let her know. I did not see Victoria’s car on the drive. ‘I went back to our house and picked up my wife. We went to Radio Shropshire. ‘One of Victoria’s colleagues told me Victoria had left work at 5pm and said she was feeling upset and would be in work tomorrow. ‘Alarm bells started to ring. ‘Victoria has made two previous attempts to take her own life and suffers from depression. ‘We went to her house and continued to try and raise her by banging the doors and windows but there was still no reply. We had to return home and I went alone back to her house with a key for her door. ‘I couldn’t get the key into the door because there was a key on the other side. ‘I noticed Victoria’s bedroom window was open and I managed to get a ladder from one of her neighbours. I got in through the bedroom window. ‘There were no signs of forced entry in the house. I searched the house and garden but could not find her. I called my wife to come and assist me. She said to check the loft. ‘I went to the top of the stairs and the loft hatch was closed as normal. As I checked the right hand side of the loft, I saw Victoria in the corner. ‘I went downstairs to phone an ambulance. I also asked for police. I went back into the loft. I took a pair of scissors and cut her down. ‘The emergency services operator started to give me instructions to do cardiopulmonary resuscitation (CPR). A statement from PC Matthew Bourne, of West Mercia Police, said: ‘At 8.15pm on August 6 there was a report from a man who had found his daughter hanging in the attic. ‘When we arrived there was a distressed female who I now know is Beryl Holyoake. Lee Holyoake was in a distressed state, attempting CPR on a female. 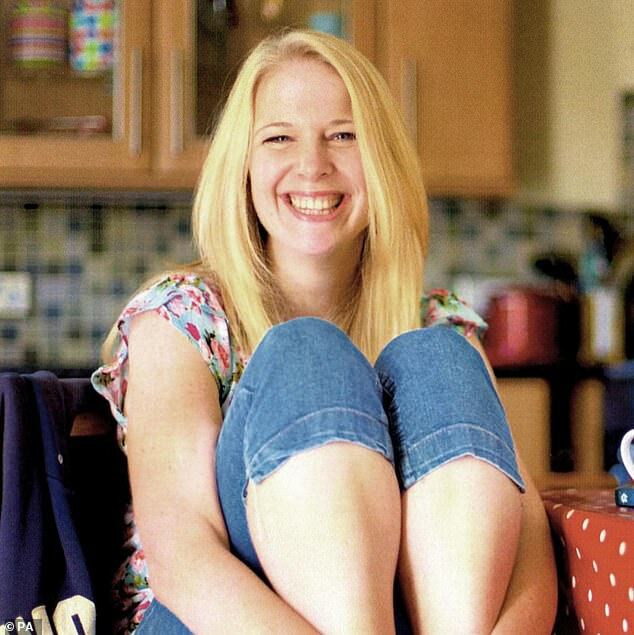 A statement released by Vicki’s family said: ‘We still cannot believe that Vicki’s not here. ‘Her zest for life was infectious, she was a wonderful mother and daughter and her charm brought a smile to all those who knew her. ‘She could light up a room. ‘While we will always miss her we want to remember and celebrate everything that she achieved which is why in the spring we are planning a memorial celebration of her life. David Jennings, Head of the BBC’s regional programmes, West Midlands, said in a statement afterwards: ‘We are heartbroken at Vicki’s death. 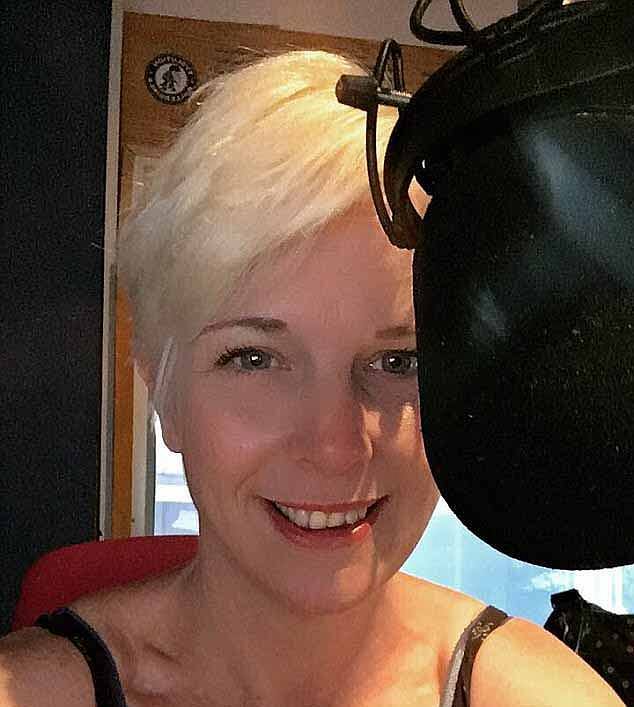 ‘Everyone here at Radio Shropshire respected her as a great presenter and journalist, but so much more than that we loved the sense of fun she brought to her shows and the station. For confidential support in the UK, call the Samaritans on 116123 or visit a local Samaritans branch. See www.samaritans.org for details.